I read this article and found it very interesting, thought it might be something for you. 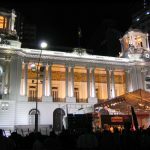 The article is called 15 Nightlife Scenes to Enjoy in Rio de Janeiro and is located at http://trip-n-travel.com/listicle/21542/. Rio de Janeiro is a breathing city full of life and music. It is known for its street parties, the carnival, samba dancing, Bossa Nova, and wonderful people basked under the hot Rio sun. The nights of Rio are just as alive as the days, maybe even more with dining, dancing, drinking, and music around. You are sure to find yourself in the mix of something wonderfully fun and memorable. Here are some tips before heading out to the great city of Rio at night. If you have expensive taste, and you want to go out in style, head out to the posh hotels in Ipanema or Copacabana. The hotel lounges offer great parties at night, but you have to be dressed to the nines. If you want to go on the authentic Brazilian nightlife, head out to the streets and visit the bars. Rio has a limitless of bars, the ones in Leblon are also crowded. If you want inexpensive and down to earth fun, the streets are wide open with the cheapest beers sold in a vendor’s truck. Lastly, be safe and have fun. In the cool, dry, and starry Rio night, you will definitely find a place to remember. Let us look at some of the hot spots around the city. Three layers of fun at Rio Scenarium with dining and dancing and of course, drinks. This popular spot will help you to groove the night away with its live bands on one floor or spin to dance music on another floor. The area is widely popular for the music and dancing, the house’s restaurant is also a must-try. For an all in one place to begin a party night, visit this place. Gather around the iconic fountain in Praca Sao Salvador and hang out with the locals. Enjoy great music and get the feel of a real Brazilian nightlife. Surrounded by small bars and restaurants, this spot offers a glimpse at the local life in Rio. Even if it is not the carnival season, this area still gets crowded especially on the weekends. Bang your head and rock the night away with your favorite metal music with cover bands doing all the rock hits. Great food and drinks are available in Calabouco Heavey & Rock Bar that your throat will never run dry. Do not miss this place for a real head banger’s ball. This little bar tends to get very busy and flows over into the street. Bip Bip is a self-service bar where you can just grab your drinks from the fridge under the watchful eye of the owner who will keep count. The small venue gathers local musicians that just sit with each other and jam. Opening hour: Sun – Sat 7 pm – 1 am. Cabaret Lounge is like being in Paris in the 1920’s. This cozy bar has a Parisian theme with red walls and glittering lights. Have a bucket of champagne and meet up with a friend or just meet new people in this great atmosphere. You can also catch a show with dancers and stage actors in this cabaret. A samba venue put on by master Brazilian samba composer and singer Moacyr Luz. The Samba do Trabalhador brings artist from around the city to perform just for the fun of it all. The dancing, food, and music will leave you amazed. The open-air venue gets too crowded sometimes, so it is best that you get your spot ahead of everyone. Get into the mix in the bohemian neighborhood of Lapa. Lapa 40 Graus is a tri-level building that plays all kinds of music from samba to cover bands of American music. Also, get stuffed at first floor with great food and drinks, before shaking it on the dance floor. Drab frosty mug of beer or just chill, and watch the game in this rustic looking English pub. Lord Jim Pub serves up a good time with its laid-back feel and great staff. There is a live music performance on weekends, and of course, pub grubs to keep you going. For amazing samba and a great mix of locals and expats, this small but fun place will be sure to liven up your night in Rio. Local beers and mixed drinks are the norms, but the music is out of this world. Carioca da Gema is a pub and a pizzeria housed in an old mansion. 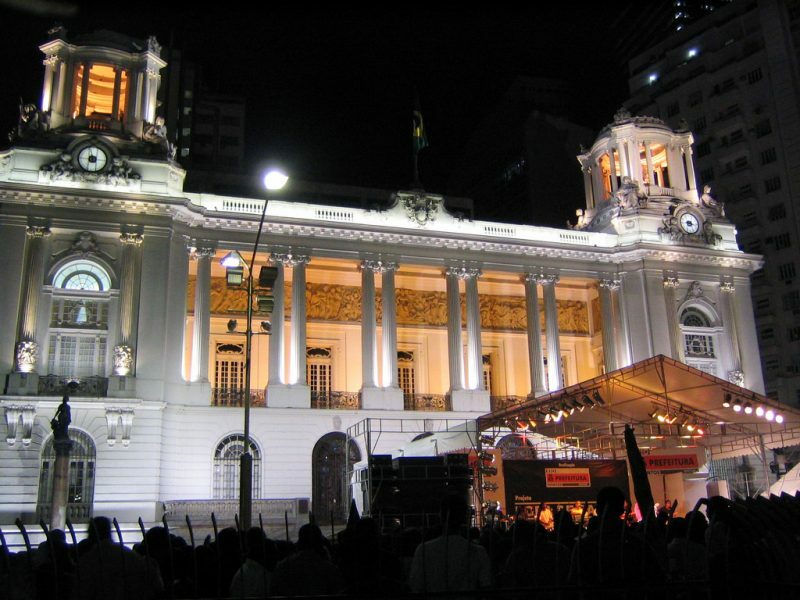 Some would say that this is the mecca of Samba, so see it for yourself and do not miss the show. Opening hour: Sun – Sat 9 pm – 5 am. Take in the beauty of the city from above. Enjoy the sights, music, drinks, and food while gazing upon the city of Rio from the hilltops. Da Laje also provides the bar van that will take you up and down starting at five in the afternoon. This bar sits on a hill and overlooks the city of Rio. Bands sometimes play on the viewing deck with the Rio lights as their backdrop. See the show and by the show, we mean one of the best nightlife scenes in Rio. Ginga Tropical is the spot to view folklore dances from around Brazil. The 16 of 36 styles of dances will leave you in amazement. Booking online or through your hotel will be essential for this venue, and transportation can be provided. Prices are a bit high but worth it. Address: Rua Visconde de Itaborai, 8 | Restaurante Cais do Oriente, Rio de Janeiro, State of Rio de Janeiro 20010-060, Brazil. Head to the heights of Alto Vidigal for a great night out in town. With its busy weekends where the house DJ bumps the tunes, this party place could get very busy. If you want to stay until the wee hours, know that there is an onsite hostel that can accommodate you until rid of a hung over. The rest of the week is pretty mellow and can be a great spot to chill and take in the view. Sit back as the sun sets, enjoy a few drinks, and relax as the night takes over the lake. A nice spot for inspiration or romance. The bamboo seating and thatched roofs will make for a great chill out lounge. The Amazon feel ambience is most attractive at night especially when the torches are lighted up. The menu is a mix of traditional Brazilian and modern cuisine. Simply a perfect place to dine and enjoy the night. Get comfortable and enjoy the Bossa Nova sounds at the Vinicius Show Bar in a nice corner of Ipanema. Rio is also known for the mellow tune that sways like the breeze. Vinicius is said to be the hub of the local legends of the genre. Cold drinks, great food, and the feel good music will leave you feeling relaxed. Enjoy the small but upbeat gastro bar with tasty burgers and fresh fruit juices or start with a light cocktail. This place is a great way to start an evening of good times and lasting memories. Complex Esquina 111 has an outdoor seating where you and your friends can hang out on the sidewalk and watch passersby. Very casual ambience that promises a good time. Mon. 6 pm – 12 am. Tue – Thu 6 pm – 1 am. Fri – Sat 6 pm – 3 am. The vastness of Rio de Janeiro has so much to offer in its nightlife. From amazing shows, drinking, dining, dancing, and music. Our picks are just the tip of the iceberg so when in Rio, take a look around for yourself and find what fits you the best.